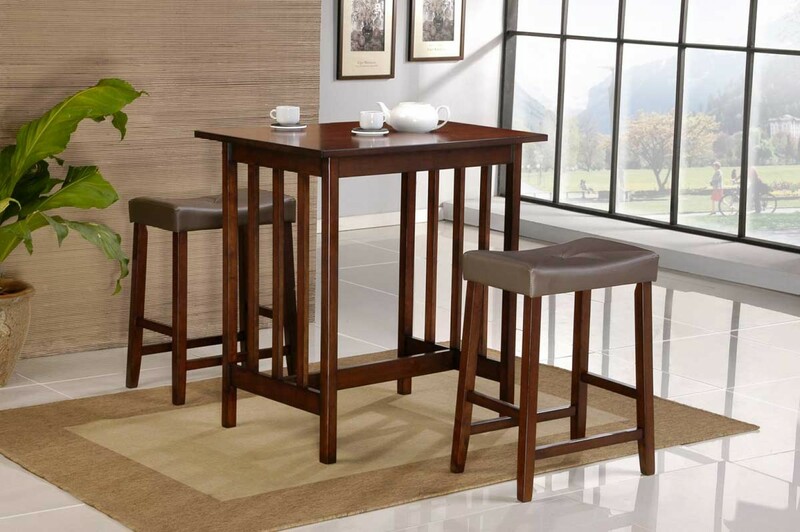 A fun addition to your smaller dining space, the Scottsdale Collection offers simplicity with a versatility that enhances any dining area. 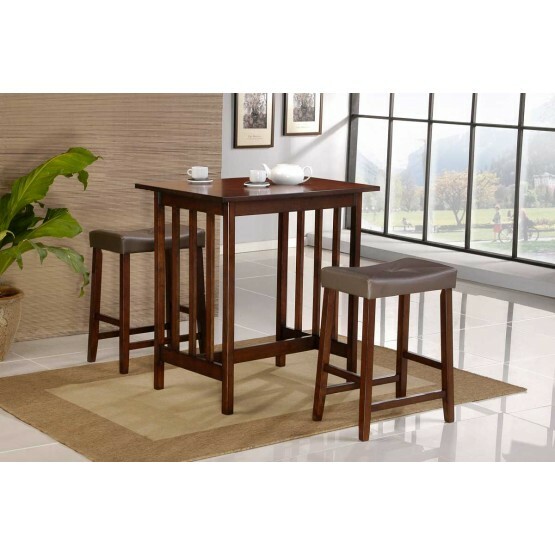 This three-piece counter height set features a sturdy table excellent for work or dine, and two plush upholstered saddle back stools for additional seating comfort. Made of selected hardwoods and veneers.